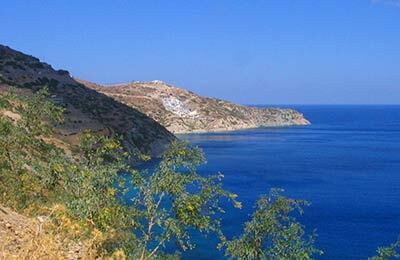 Sikinos is an island in the Greek Cyclades archipelago, with just 238 inhabitants. Most of the island is difficult to access, due to its rocky terrain, and as such the island has escaped mass tourism and remains a quiet haven for those who want a taste of quiet, rural Greece. Sikinos Ferries sail to Piraeus in mainland Greece. The routes are operated by LANE Lines, and you can find the best ferry for you using the simple booking form from AFerry. Below, you can find Sikinos ferry times, as well as our best deals. LANE Lines fleet consists of two cruise ships Ierapetra L and Vitsentzos Kornaros equipped with modern facilities such as air conditioning throughout, a la carte and self service restaurants, bar and cafe, a disco, television and video facilities, a bar on the open deck, a gift shop and a tourist information centre along with a number of comfortable cabins and seating accommodation. The Anek Lines fleet of 11 magnificent modern air-conditioned ships all offer a full range of facilities on board. 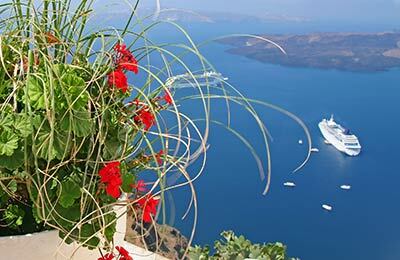 You can choose from a range of inner or outer ship cabins with two, three or four beds and on Anek Lines Italy-Greece routes you can even choose a deluxe cabins featuring a sitting room and TV and Internet access. LANE Lines offer great deals and promotions on Sikinos ferries, and you can take advantage of these by booking simply and securely with AFerry. Sikinos ferry port is situated in the village of Alopronia, which is one of only two settlements on the island of Sikinos. Sikinos has two settlements, Alopronia, where you will find the port of Sikinos, and Hora, comprising the areas of Horia and Kastro, which is higher up in the hillside. Sikinos has quiet, secluded beaches, ancient ruins in the remote countryside and some interesting sites to visit, including the Zoodohos monastery, the Episkopi temple, the small Byzantine museum in Hora and the Mavri Spilia (Black Caves), which can only be accessed by boat.